Contents 8 Newsmakers » 14 Back from the brink » As AIG Australia moves towards rebranding as Chartis, its chief executive recalls a few hellish months as the world fell apart. 22 Next time the bush burns » The Victorian Bushfires Royal Commission targets the things that cost 173 lives. 24 Death and taxes » Thanks to antiquated levies, too few people are paying for fire-fighting services. 28 Waiting for a trigger » There’s no lack of enthusiasm for a hard commercial market after years of low rates. But forecasting the trigger that gets rates moving is proving next to impossible. 30 Generation X takes over » As the Baby Boomers begin to move into retirement, there’s a new spirit rising in management. Generation X is stepping up. 38 …and then there’s Generation Y » They’re razor-sharp, tech-savvy, multi-skilling jobhoppers, who are also moral and caring. 40 Keeping on trucking » Once it had four owners, but NTI is happy the two it has left have agreed to work together. 42 Buy, sell and exchange » The Steadfast Hub will extend the cluster group’s reach into the data exchange business. styleNEWS 52 Love that office » CGU’s green and open new Melbourne HQ makes environmental and financial sense. 44 The boy is back in town » El Niño may increase the risk of bushfires, but it also means less chance of floods, hailstorms and cyclones. 48 You want insurance with that? » Personal lines products are becoming commodities. No one’s sure yet who will benefit most. 50 Regulatory roulette » Can insurance intermediaries keep dodging the bullets of reinvigorated regulators? 62 What keeps you awake at night? » A Perth brokerage is profiting by helping clients with some heavyweight risks. Good ideas, good performers and good leaders: The annual Australian and New Zealand Insurance Industry Awards night recognises the efforts of individuals and organisations to achieve excellence. This year’s winners crowded onstage in Sydney to acknowledge the accolades of their peers and friends in the industry, and to celebrate their success. For QBE Group Chief Executive Frank O’Halloran, one of the most respected businessmen in Australia, his award as “insurance leader” this year made it a case of second time around, having also been picked by the expert judging panel in 2004. The awards night, organised by the Australian and New Zealand Institute of Insurance and Finance, is unique in the industry for the fact that the little guys get a shot at the big time, too. This year Perth-based Specialised Broking Associates, a small outfit with some very big clients, was named best in the small/medium broker category. A profile of the company is on page 62. 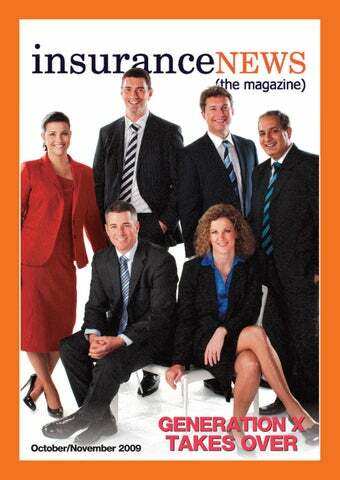 Allianz Australia was named General Insurer of the Year and MLC was judged the best life insurer. He came, he saw, he shuffled: New Suncorp Managing Director and Chief Executive Patrick Snowball arrived in Brisbane from the United Kingdom then with five trusted former colleagues and advisers proceeded to probe every nook and cranny of the group. As one senior Suncorp executive pointed out, the opinions of five professionals you trust have to be better than those of a bunch of hired management experts you don’t know. Only when he had all the intelligence in place did the former British Army tank commander fire the first shot in his new job. Out went Suncorp’s personal lines supremo Bernadette Inglis, replaced by her commercial lines counterpart, Mark Milliner. Intermediated Distribution Executive General Manager Anthony Day stepped up into Milliner’s old role, with Market Management Executive Manager Andrew Mair appointed to act in Day’s former role. Apart from some minor changes in the management of the nonoperating arms, Snowball confirmed all the other executive positions. Mark Milliner is regarded in the market as a strong Mr Fixit manager with considerable organisational experience gained in a variety of industries. Anthony Day joined Suncorp 18 months ago from Zurich, where he ran the general insurance operation, and is credited with boosting Vero’s relationships with key broker groups. Getting Suncorp into the sort of shape that will attract strong shareholder support is a big challenge, but for now, the market is giving Snowball breathing space while he works out what to do with Suncorp’s underperforming bank and its dismal share price. again the pundits are predicting that the only ones to profit from privatisation will be “foreign-owned [ie, Australian] and vastly wealthy insurance companies”. The gap between claims liability and current net assets now stands at $NZ12.8 billion ($10.4 billion) – a situation the NZ Government says will take 10 years to turn around. Insurers are staying well clear as the debate rages, with Insurance Council of New Zealand Chief Executive Chris Ryan saying the issue is “very much in the political rather than business arena” at pre* sent. don’t feel confident enough to advise their clients about it. The Zurich survey, launched at the NIBA convention in Sydney, showed one in four brokers have already started adding cover or adjusting clients’ policies to help them cope with climate change risks. But only one in five feels confident talking to customers about climate change risks and are looking to governments and insurers to help them better understand the issues. Zurich Australia Chief Executive David Smith says the survey shows there is a major role for the insurance industry to play in helping people adapt to the effects of * climate change. QBE mooves on Elders: QBE completed the $27 million buyout of the insurance businesses of rural services giant Elders in October. The insurer now owns 75% of a new joint venture underwriting agency and 100% of Elders Insurance. The agency will continue to supply insurance under the Elders brand and holds the exclusive distribution rights for 20 years. At much the same time Zurich announced it’s quitting the rural insurance market. It will stop writing new rural cover as well as renewal business * from December 1. The National Insurance Brokers Association (NIBA) has set aside plans to mount a multi-million dollar television and radio advertising campaign, citing a lack of financial support from members. The association wanted to spend $1.3 million a year on the campaign, which would have spruiked “NIBA brokers”. The campaign was based on a program run over about 20 years by Canadian brokers, whose contributions are matched by insurance companies. NIBA Chief Executive Noel Pettersen says “difficult economic times” may have deterred some members from contributing, but “it is still difficult to understand why they would choose not to back an initiative to promote the profession that provides their livelihoods”. But 58% of members baulked at a levy to raise an additional $500,000. General insurance disputes increased by 34% in the 2008/09 financial year, according to the latest annual review from the Financial Ombudsman Service. This compares with rises of 68% in the investment area, 28% in life insurance and 36% involving credit. Across the board, disputes were up 33%. Chief Ombudsman Colin Neave says extreme weather events such as storms and bushfires have had an impact on general/domestic insurance disputes. Disputes involving home insurance (27%) and contents (10%) trailed motor (39%). Travel insurance accounted for 16% of disputes. The most prevalent source of disputes concerns agreed understanding * about the extent of the cover. newsmakers at insuranceNEWS.com.au DOFIs data plan meets resistance: New data collection and reporting requirements for general insurance intermediaries proposed by the Federal Treasury have met with strong industry opposition. Under the proposal, brokers, underwriting agents and insurers authorised by the Australian Prudential Regulation Authority would need to report every six months on transaction-level data on contracts with direct offshore foreign insurers (DOFIs) as well as aggregated data on contracts with authorised insurers, Lloyd’s underwriters and DOFIs. Data from the first reporting period of November 1 to December 31 would need to be submitted by February 26 next year. The proposal came as a surprise to the National Insurance Brokers Association, whose regulatory consultant John Hanks says intermediaries would be duplicating what is already being provided by insurance companies and Lloyd’s. Added to that, the proposed timeframe is unworkable and the cost “would be prohibitive for smaller brokers”. winning in nine categories. The runners-up were Allianz Australia and Zurich Financial Services Australia. For QBE staff, the win comes with a bonus: they all get an extra day tacked on to their leave for winning the award. “For us it’s a motivating achievement and an honour to be acknowledged in this way by our intermediary partners and the industry,” Executive General Manager QBE Intermediary Distribution Colin Fagen told Insurance News. So what’s the secret behind QBE’s eight years of success? Mr Fagen says it’s all due to the commitment, hard work and enthusiasm of QBE staff, with service, strong relationships and commitment to intermediary partners key to “mutual long-term * success”. Compo morass set to end: Sweeping changes to Australia’s “absurd” mix of workers’ compensation laws are getting closer, with Workplace Relations Minister Julia Gillard saying model laws for uniform occupational health and safety legislation will be ready in late 2011. Calling the present collection of 10 different state, territory and national systems and 400 regulations “confusing, time-consuming and expensive”, she says the new laws will force em* ployers to provide a safe workplace. ‘Bad’ state taxes criticised: Federal Government tax review Chairman Ken Henry has slammed insurance stamp duty and the fire services levy as “bad taxes”. Dr Henry – who is also Secretary to the Federal Treasury – says taxes such as property transfer and insurance taxes are “generally recognised as highly inefficient”. “Many of these taxes… are generally recognised as being highly inefficient, sometimes even by the states themselves.” As for non-insured and underinsured property-owners, he describes them as “those who bear risk where they would prefer to be insured but aren’t, because of tax”. Material in insuranceNEWS (the magazine) is protected under the Commonwealth Copyright Act 1968. No material may be reproduced in part or in whole without the consent of the copyright holders. The content of articles appearing in this magazine do not necessarily reflect the views of the Publisher. All statements made are based on information that is believed to be reliable and accurate, but no liability is accepted for any fault or omission. We also accept no responsibility or liability for any matter published in this magazine that reflects personal opinion. Printed on FSC paper stock using vegetable based inks by a printer with ISO14001 Environmental Management System Accreditation. hris Townsend is a long-time AIG man, and he’s as well-trained as any senior manager in a major global company could be. But nothing could have prepared him for the months that followed October last year. His career with the company has taken in London, New York and Hong Kong. He worked in Australia running AIG’s financial lines business from 1996 to 1999, and arrived in Sydney in January 2007 to manage the entire local branch. On 16 September 2008, Mr Townsend woke to the news that the United States Federal Reserve had issued an $US85 billion rescue package to AIG. The world’s largest insurer, worth an estimated $190 billion and operating in 130 countries, had been judged too important to the US and global economies to be allowed to collapse. While AIG had been in serious trouble for months – massive writedowns on then unfamiliar products called credit default swaps, court cases related to sham reinsurance deals, the departure of Chief Executive Martin Sullivan – nothing could have prepared Mr Townsend for the bombshell that had just landed in his lap. While the problems faced by AIG were never about the insurance subsidiaries, the AIG brand was suddenly as toxic as the loans that had unravelled it – and what did that mean for the group’s respected Australian operation? Plenty, as it turns out. In the calm of his Sydney office, the 19year AIG veteran looks back now on the experience and agrees the news then was unfathomable. While his training in the company had included courses in crisis management, “scenario testing and crisis management can never prepare you for something like this”. “It literally changed our landscape overnight,” Mr Townsend says. “We all woke up on a Monday morning to a scenario in which the world’s press and the market here expected us to be the next big US company after Lehman Brothers to fail.” With so much doom-laden news funnelling out of New York, the AIG team in Australia had little time to assemble their thoughts. They knew the general insurance arm of the company had no exposure at all to an estimated $US372 billion in cover for toxic loans. AIG Australia held more than $1.7 billion in assets under a conservative investment program – 2.5 times the amount it was required to hold. Besides that, Australian law prohibited the local company remitting surplus capital back to New York without the prudential regulator’s consent. But how do you get that message of “we’re okay and it’s business as usual” across to anxious insurance brokers and major clients? The AIG management team, with the assistance of outside communications consultants, devised a communications strategy which Mr Townsend now admits was simple enough, but required very hard work and commitment from staff at all levels [See panel next page: Lessons from a crisis]. “For the first couple of days we were scrambling for information which we didn’t have, and the time difference made it very difficult for us to get the correct facts,” he says. “So we lost some clients in the early days.” The new communications strategy involved Mr Townsend and his management team speaking face-to-face with major account customers and brokers. Silence breeds fear: We knew transparency and candour with the market and all of our stakeholders was the best approach – particularly when your goal is to retain or regain trust. You’ve got to communicate properly; you’ve got to have the system in place to allow you to communicate in a very timely fashion. Make sure the right people own the relationship: We learned that fairly early on. You have to make sure that you’ve got the appropriate people talking to the different stakeholders. It’s a case of listing who all your key stakeholders are, how frequently you need to get to them and what level of seniority within each of those groups you need to get to, and then pinning the rose of accountability on one of your executive team to make sure they own that relationship. Those people have to be well trained, well briefed and well prepared. Stay approachable: From a leader’s perspective, you’ve got to remain very approachable and highly visible – a lot more so than you perhaps would normally. You’ve got to be right out there on the front foot and not being purely reactive to the comments people are making. Keep staff in the loop right from the start: It’s vitally important to keep your staff confident in the business, because they’re the ones who’ve got to go out there and deliver your message. When you speak to them, tackle the elephant in the room straight away. Tell them their jobs are safe (if indeed they are) and the company is in perfectly good financial condition. Shorten your executives’ time horizons: Make sure you get the balance right between your longer-term strategic objectives and day-to-day objectives. You have to shorten the timeframe of your key executives to focus much more on shorter-term objectives rather than the medium to long-term objectives on which they would usually be focused. Watch the numbers: Know exactly what is happening week in, week out in terms of your new business and your retention numbers, and exactly what’s happening with your employee pool. Be sure the communication you’re putting out there is working, and if you try something different watch for it to change the numbers – then act accordingly. Don’t be afraid to use outside expertise: We’ve got great talent internally, but nothing prepares you for a situation like this. Use outside help to provide some additional firepower. Remember there are upsides: By embracing these challenges and learning from them, it can put you in a much better place. For instance, we now have significantly stronger relationships in the market than we did previously. We’ve got an employee pool which is more committed and understands the business better than they did before; and they’re better communicators. We’re more flexible and more adaptable as a company, and we’re definitely more nimble than we were before. the winner and see the reaction.” Darwin-born and bred Mr Anictomatis is the State Executive Northern Territory with Marsh Australia. He started out in the industry as a teenager in 1997 before moving into broking. “This career is always challenging,” he said “Clients are currently encountering difficult times and we have to take a smarter approach to risk. It’s an interesting climate to be working in.” The married father of one’s career with Marsh has already included a two-year stint in London, where he worked on placements for some of the world’s largest construction projects. As part of his prize he will return to the British capital on a study tour, courtesy of Vero. Joining him to contest the final of the Warren Tickle Memorial Award in Sydney were Matthew Korff, representing New South Wales/Australian Capital Territory, Robert Richards (Tasmania/Victoria) and Lana Rose (Queensland). sands of square kilometres of tinder dry forest. In March the Victorian Government announced the state’s immediate adoption of the Australian standard for design and construction of buildings in bushfire-prone areas, scheduled to take effect nationally in May next year. Under the new Australian standard areas will be defined under six categories of “bushfire attack level”, with at-risk homes required to adhere to a range of fire-resistant standards. In late August the second round of royal commission public hearings began, focusing on building standards such as construction materials and bushfire bunkers. Experts from the Master Builders Association of Victoria (MBAV) and the Fire Protection Association of Australia convened during the second round of hearings to discuss those issues. But the experts are quick to point out that despite the advantage of safety features, there is no magic solution. “We welcomed the adoption of new regulations to form a new base minimum, [but] by themselves they would not guarantee people’s safety” MBAV Executive Director Brian Welch told the royal commission. State-of-the-art homes will still burn under extreme conditions, and questions still hang over the question of fire shelters, which can quickly run out of oxygen. The regulation of fire shelters and bunkers is fraught with difficulty, and at present there are no official standards. The royal commission heard a tragic account from one public witness whose partner died in a purpose-built bunker on his St Andrews property, highlighting the fact that such measures come * with no guarantees. those responsible enough to insure. The Insurance Council of Australia (ICA) has been quiet by comparison, preferring to do their talking behind ministerial doors, according to industry insiders. ICA President Terry Towell, who is also Managing Director of Allianz Australia, says ICA is continuing to undertake a “huge amount” of lobbying against insurance taxes. “I am aware that ICA has taken some criticism from members about invisibility on the subject,” he told the NIBA Convention in Sydney in September. He says ICA is using “behind-thescenes” tactics involving private consultation with ministers. “We have tried the head-on approach and don’t seem to be able to get past first base,” he said. “I think we’re making more substantial traction now than at any time during the past. Our efforts shouldn’t be assessed by the number of quotes in the media.” Time will tell. While other states – most recently South Australia and Western Australia – have moved away from the fire services levy system in favour of land-based rates – changes in Victoria would involve massive electoral risk. The states are yet to be swayed from a slice of revenue that according to Australian Bureau of Statistics figures poured $4.25 billion into Federal and State Government coffers in 2007/08. That’s not far behind the $4.85 billion in “sin taxes” reaped from gambling. For the moment, industry hopes lie with the Henry Tax Review chaired by Federal Treasury Secretary Ken Henry. Insurance taxes are due to be addressed in its final report due in December. sent to mobile and landline phones with a billing address in a fire-affected area is expected to be ready by mid-November. Phase two, where warnings go out to all mobiles in a threatened area, is a year away. The key features of the implementation plan include an overhaul of command, control and co-ordination arrangements. Amendments to the Country Fire Authority Act will ensure the chief fire officer has responsibility to issue warnings and provide information to the community about the risk of bushfires. Revised guidelines also mean that CFA and Department of Sustainability and Environment (DSE) incident controllers can recommend evacuation. The most “experienced, qualified and competent person” will be appointed as an incident controller for each fire, regardless of where the fire starts. A national six-tiered fire danger rating system has emerged, including a new category of “code red” (catastrophic) to warn communities of the risk of unpredictable, uncontrollable and fast-moving fires. One standardised warning will be issued on a single portal website for dissemination on CFA and DSE websites, the ABC and potentially other media. It will also be available to Victorian Bushfire Information Line operators. The royal commission has scheduled a progress report on implementing the recommendations by March 31 next year. A final * report is due in July. maining, even if prices go up across the board. KPMG Australian insurance practice Chairman Brian Greig says IAG has been standing by a disciplined pricing stance in the commercial side for the past 12-18 months, but how successful the insurer will be is the stuff of crystal balls and tarot cards. There is no evidence of contagion so far, according to JP Morgan analyst Siddarth Parameswaran. “The underwriting authorities are still there for discounting and people are still discounting. It’s across the market,” he said. Mr Leney says modest rises were seen across the board in the small to medium enterprise market in the first half of this year, when insurers independently concluded premiums had to go up to rescue profit margins. But he’s not convinced this will be sustained in a competitive marketplace, as stronger investment returns take the heat off underwriting profitability. Providing the patchiness are lines such as directors’ and officers’ cover driven by disgruntled investors’ claims, and commercial motor, which is coming off a low base. In long-tail classes, the exit of Lumley and CGU from builders’ warranty cover has reduced capacity in that class. Mr Greig says liability and compulsory third party (CTP) will come under upward price pressure as reserve releases taper off, but competitive market forces still apply. Significant CTP rate increases are being seen in Queensland and New South Wales as superimposed inflation lifts settlement amounts. Mr Leney says clients are “doing it tough” in mining and in the expanded polystyrene panelling business. Reinsurers’ capital is vulnerable. But it is, of course, pure speculation that grey skies over the Atlantic will be the catalyst for a firmer commercial insurance market in any case. Who knows what it will be? Or when. * The wait continues. their capability. They also plan to stay for between two and four years, compared with six years for the previous generations. The Hays study found tech-savvy Gen Ys are optimistic and confident – and that they want responsibility and challenges right now, thanks. They’ll solve problems creatively but they expect clear rewards and recognition for their efforts. Flexibility from their bosses is expected and work/life balance is a given, not a benefit. They want their employers to provide ongoing learning and development, good career progression, mentoring and strong leadership. A 2007 international study by KPMG Australia partner Bernard Salt examined Generation Y in the funds management industry and found no discernible improvement in the rate of churn (turnover) across businesses that had, and had not, implemented special retention strategies. “Whatever the funds management industry thinks it’s doing to recruit and retain Gen Y staff, it isn’t working by the measure of staff turnover,” was Mr Salt’s conclusion. Mr Arnold’s advice to employers is to face facts and deal with them. He says the global financial crisis slowed Gen Y job-hopping to some extent, but this will pass. “We can try and mould them into our thinking and our slower way of working or we can speed up with our strategies and get our act together and say ‘Right, you’re only here for two years. How do I capitalise on you quickly?’” Andy Parton, Australia Insurance Partner for consulting firm Accenture, says the “future leaders” segment of the industry is seeing a trend toward more horizontal movement of employees and cross-skilling – even in specialist areas – through job rotation or secondments. Computer desktop platforms offer some useful features to improve internal communication and liven up an otherwise uninspiring technological environment. But the industry’s slow migration from old computer systems is a definite turn-off for the youngsters. “Most of the insurers today are running their core business off old green screen mainframe terminals where there’s no mouse,” he told Insurance News. “It’s tabbing from one field to another, entering a “code A” to do this and “code B” to do that, and actually having a lot of the processes paper-based.” Although security issues need to be overcome, web-based systems in areas such as claims could facilitate working from home, an attractive point of difference for employers. Mr Parton says that apart from minimising time spent on things that don’t add value, processes for performance management, compensation and reward need to be linked to the outcomes sought by the business. As Mr Arnold sees it, the days of new recruits spending years in graduate programs learning bits and pieces are long gone. The way ahead looks like more management worries for Gen X concered about how to harness the energy of Gen Y – for as long as they stay around – while retirement is being awaited by Baby Boomers eager to escape from the whole * mess. They’re collaborators, because they believe working in a team gets faster results. They’re upbeat, confident and positive thinkers. Hierarchies don’t matter – they want to be treated, and treat others, as equals. They’re not particularly influenced by authority and role models. They genuinely care – Gen X managers want to be the best people-managers they can be. Their peer group is very important – decisions are often peer-influenced – and they enjoy working in teams. They’re likely to be more skilled in management because they studied it at university. They’re totally tech-savvy – the internet is a vital tool and most communication is via SMS or social network. Technology is a tool to be exploited – they’re tech-savvy. Salary ranks sixth in importance after training, management style, work flexibility, staff activities and nonfinancial rewards. They say what they think, not what their boss might prefer to hear. Entrepreneurial and skilled multitaskers, they’re not compartmentalised in their approach to work. They’re not particularly concerned with job permanence. Whatever it takes – they’re willing to go around established procedures, take some risks and innovate to make things happen. They want a work/life balance – family and friends are very important. Graphics-oriented, they see text as supporting visual material. When the job ceases to be fulfilling, they’ll quit. They are impatient if processes are slow. 10. They’re more loyal to their profession than the company they work for. 10. They’re socially aware, keen volunteers and will speak up against racism, sexism and homophobia. keeping any issues in relation to the ownership outside the running of the business.” Mr Clark says traditionally the specialist market area of heavy motor has been difficult for insurers, and certainly through the 1970s and 1980s it was regarded as unprofitable. ture is that it ensures the independence of the people who have been part of the business from when it started. “They feel a real ownership of this business, and that’s a very good thing.” He says the company is now working to bringing across the Vero business as seamlessly as possible, then it’s back to the plans NTI has in place for the next five years. “We’re doing all we can to make sure we deliver on everyone’s * expectations,” he said. The iClose architecture aims to “plug the gap” to deliver better messaging, portal delivery, claims, accounting, referral and documentation solutions. Mr Kelly says Steadfast isn’t overtly concerned with the battle for brokers’ and insurers’ hearts and minds, despite the fact the cluster group scored something of a coup earlier this year when it succeeded in attracting across former Sunrise Exchange executive Orlando Trujillo-Ramirez as General Manager of the Steadfast Hub. We appreciate the service Sunrise Exchange has provided the industry over the years, and this is simply a choice model,” Mr Kelly says. “The long-term intention is that most Steadfast business will be done through our virtual underwriter and not Sunrise Exchange, but we don’t intend that they are mutually exclusive. “It will depend on what serves the broking house best.” Besides that, Mr Kelly believes there’s room in the market for more than one data transfer player. “It will show the local market is not completely tied to one form of electronic data transfer and others are available in the market.” The Steadfast Hub has had its ups and downs during development, but it received an important boost recently when QBE signed on despite some initial reservations concerning other suppliers. S You can call Peter Peirano “typical” if you like, although most people agree he’d be a standout anywhere. In many ways the North Queensland broker is typical of a Steadfast Group member, both for the reasons he first joined and the way he supports it now. His Rockhampton firm – the fact that it’s called Piranha Insurance Brokers gives you some idea of his ironclad sense of humour – was set up by Mr Peirano and his wife Heather in 1978, and joined Steadfast nearly 20 years later. Mr Peirano loves everything about selling risk insurance. Proving his diversity is the fact that he’s a lifetime member of the International Life Writers Association – the famous Million Dollar Round Table. Like many brokers living in smaller communities, Mr Peirano is also a believer in putting back what he has gained. Apart from involvement in the regional Rotary Club and the Rockhampton Amateur Race Club, he also manages three horse-racing syndicates. The Peirano family’s involvement in motor racing is legendary. It grew from an interest in go-karting to what Mr Peirano happily refers to as “our obsession” – competitive drag car racing. The Strength Steadfast describes itself as “The Strength: a national resource of knowledge, skills, products and services”. Brokers evidently like what they see; in 13 years, the Steadfast Group has grown to become the largest insurance broker cluster in Australia. It has more than 400 offices across Australia that are home to 282 individual broker shareholders who write more than $2.4 billion in annual premium. Steadfast members employ close to 4600 people, either as staff or authorised representatives. To become a Steadfast shareholder, members must meet a range of requirements including a minimum $300,000 in broker fees and commissions. Once members step through the door, they can use the group’s central group compliance and other procedures, group insurances, helplines, wordings, forms, training and education and staff benefits, as well as a $50 million professional indemnity cover. Membership also hands brokers business and personal savings through group bulk buying initiatives, accommodation discounts, car rental and purchase deals, competitive flights, bank services, office supplies and gym memberships. In return for group membership, Steadfast takes a management and administration fee, distributing 80% of the income back to shareholders in the form of cash and services. And now he’s quietly educating younger people about insurance and the industry by presenting at school workshops. “I love the broking game and I’m proud of it,” he says. “What Steadfast did for us was provide protection from situations where you could be bullied. “Some insurers would say that unless you wrote a certain amount of premium you couldn’t deal with them. You can’t do that with a member of Steadfast. It’s a wonderful organisation and I bless the day I joined it.” Mr Peirano says Steadfast is a godsend for regional brokers. “We don’t have the contacts of a big city broker and when we go to the group for help, three or four brokers will come back to you in the one day.” He says Steadfast’s training initiatives also help his firm punch above its weight. “I take advantage of the online training such as a podcast Robert Kelly did on things that can go wrong with professional indemnity claims,” he said. “In this game, you learn from the claims that go bad.” That kind of support has helped his business grow to the point where today Piranha Insurance Brokers employs 11 staff and collects about $5 million in annual gross written premium. El Niño was a title originally used by Peruvian fishermen to describe the occasional appearance around Christmas of a warm ocean current off the South American coast. Hence the religious connection with the birth of the “boy-child”. Scientists have adopted the title to refer to the extensive warming of the central and eastern Pacific Ocean which leads to a major shift in weather patterns across the Pacific. El Niño and La Niña are defined by sustained differences in Pacific Ocean surface temperatures when compared with the average value. The accepted definition is a warming or cooling of at least 0.5 degrees. El Niño events begin when trade winds falter for many months. A series of Kelvin waves – relatively warm subsurface waves of water a few centimetres high and hundreds of kilometres wide – cross the Pacific along the equator and create a pool of warm water near South America, where ocean temperatures are normally cold due to upwelling. The Pacific Ocean is a heat reservoir that drives global wind patterns, and the resulting change in its temperature alters weather on a global scale. Rainfall shifts from the western Pacific toward the Americas, while eastern and northern Australia, Indonesia and India become drier. El Niño also affects weather in the Atlantic, with fewer hurricanes and drier, warmer weather dominant. rather than once, as happens with an earthquake or tropical cyclone.” Fire is also a different beast in that there is more of a man-made component, with a significant proportion of fires lit deliberately, meaning it is much harder to measure and has the potential to be much more significant. While humans can modify losses in other natural disasters, such as releasing water from a dam at a particular time, or leaving an insured car out on the road during a hailstorm, the proportion of loss is much smaller. So just what, and when, will the next big natural catastrophe be? It seems in Australia it is much too difficult to predict. While most countries only have to be prepared for a couple of major perils, Australia has a much longer list of major threats. For example, the top six insured losses involve six different perils. They are, in order of cost, the 1989 Newcastle earthquake, Cyclone Tracy in 1974, the 1999 Sydney hailstorms, 1974 Brisbane floods, and 2007 Newcastle storms. The 1983 Ash Wednesday bushfires are not far behind. “I find it very difficult to say where we’re headed and even if we weren’t concerned about climate change, I’d still find it hard to say,” Professor Blong says. Insurers such as Suncorp and IAG, whose profits have been hit hard by natural catastrophes in the past two reporting seasons, may rest easy at the thought of a break from flood and storm losses. But odds are they’re already looking to see what Mother Nature could bring next now that El Niño is back in the equation. “Certainly on the face of it these new entrants seem to be offering better deals, but as we’ve always said, insurance is not always just a question of what is the cheapest,” he said. “In principle we always welcome more competition, so we’ll be very interested to see how this plays out, how consumers switch from the existing providers to the new ones and what their experiences are in terms of customer service and other issues like cost.” Even though the underwriters of the products are respected insurers – Wesfarmers Insurance has substantial internal experience to call on and Auto & General already operates successful direct insurer Budget Direct – the quality of the policies won’t really be known until the first claims roll in. Because Coles and Australia Post are only lending out their brands rather than providing over-the-counter advice, the possible damage to their cherished reputations of any mishandled claims will be something they’ll be acutely aware of. As anyone who works in insurance knows, every product really is different. “This is part of the challenge of insurance – products do actually vary,” Mr Zinn says. “There’s always this issue of trying to make product disclosure statements in plainer English, but it’s a very difficult balancing act.” The ongoing saga of flood cover and constant consumer cries for greater policy transparency – an often-misused term in a business where insurers work hard to differentiate their products from their competitors’ – are a problem that the retailers presumably understand. Will customers not read their policies and expect their Coles and Australia Post-branded policies to cover them for every eventuality, including flood? Financial services researcher Cannex has used its latest home and contents star ratings, released in late September, to warn of underinsurance, the need to insure against catastrophes, and the discrepancies over the definition of flood cover and the fact that it is still a major exclusion in most home policies. And the Insurance Council of Australia estimates more than 40% of households fail to correctly assess the value of their home and contents. “It’s easy to see why,” Cannex said. “Unlike those in other countries, Australian building insurance policies place the burden of estimating rebuilding costs on the consumer.” Many of these issues can be overcome by consulting an insurance broker. But the increasing pace of commoditisation in personal lines has removed such products from the realm of most brokers. In the United Kingdom, where supermarket giants Tesco and Sainsbury’s have sold insurance for years – through their own insurance operations – the success of direct sales has significantly decreased brokers’ share of the market. At the start of the 1980s, UK brokers were responsible for placing 80% of household insurance premiums. By 2000, their share of the market had decreased to 45%. Since then, market share hasn’t moved much, making it clear customers’ reliance on the “high street broker” is not about to disappear. It’s far too early to say whether the retail products launched by Coles and Australia Post, and other new entrants like Virgin Car insurance and even Aussie Home Loans’ new “Aussie Insurance”, will tip the market away from the large direct insurers like NRMA Insurance, RACV Insurance and AAMI. Not everyone is happy about the rapid diversity in the personal lines sector. QBE Australia Chief Executive Terry Ibbotson is one who sees problems in newcomers using unsustainably low premiums to gain market share. He says there’s a significant downside in consumers taking advantage of low premiums. “While there may be a short-term benefit with pricing [for consumers] the market will have to correct – and when it does, my fear is consumers could be in for significant price increases,” he told the Australian Financial Review. Social analyst David Chalke, from Australia Scan, says right now all that needs to be seen is whether people actually buy the retailers’ products. He told Insurance News while the sale of insurance seems a natural transition for Australia Post, which already handles some very important transactions, he doesn’t imagine people will be so confident about buying insurance from a supermarket. “Coles is a grocer, so they’re very good at selling groceries – but do we trust them on insurance? No.” he said. “Why? In a way it almost goes counter to how people are trying to sort out their lives at the moment. “What they’re looking for is a combination of expertise and price assurance so they won’t get ripped off too much. Coles insurance might be cheap, but is it any good?” Mr Chalke says while insurance works for Tesco and Sainsbury’s, the companies have very different heritages and origins and have spent nearly 40 years building up their brands to be something more than just groceries from a supermarket. “Coles has not done that,” he says. “Just because Tesco can do it doesn’t mean Coles can.” As personal lines products devolve more and more into simple consumer products, transparency and claims – Christopher Zinn, performance will become the hot issues. Meanwhile, don’t expect the major players who have spent many years building market share to just sit back. Most are already getting into the niche game themselves, setting up car insurers like Buzz (NRMA Insurance) and Youi, Bingle, Just Car Insurance and Shannons (Suncorp). Chances are we’ll see the personal lines market continue to be led more by niche brands, with established players like Allianz and QBE relying on their established reputations to maintain their hold. Innovative products and sharp marketing strategies may well shape personal lines over the next few years, but reputation – whether it’s a large insurer or a big retailer hiring out its brand – will still matter most when the * claim comes to be paid. for service” basis. NIBA’s response to the commission versus fees issue was comprehensive: its Insurance Brokers Code of Practice outlines obligations members must follow to avoid conflicts of interest. But whatever course the various intermediary groups take, regulators are exposed to the views of lobby groups that are, for the most part, unequivocal: commissions must go. At high-profile consumer group Choice, Senior Policy Officer Elissa Freeman says if people are getting advice about insurance as part of a holistic approach to financial planning, they should pay for it in a way that can’t corrupt or bias the advice in any way. “That is, in our view, remunerating the adviser through a fixed dollar fee for fixed service,” Ms Freeman told Insurance News. However, the regulators have a plethora of issues to deal with. Notable in the field are new requirements for reporting all contracts with insurers (APRA-authorised and otherwise) and increased dispute compensation caps. Particularly sobering for the insurance industry this year are recommendations from the Senate Economics Committee inquiry into the Trade Practices Amendment (Australian Consumer Law) Bill that highlight the fact that risk insurance isn’t seen as exceptional when it comes to consumer protection. Despite the proposed insurance exemption in the Bill, the committee says it is not convinced insurance contracts are beyond the scope of both industry-specific legislation and general consumer protection laws. A revision of the Insurance Contracts Act 1984 is expected as a result. Mr Vrisakis says this is posing some real challenges for everyone in insurance “in terms of when it might be implemented and the potential compliance costs”. The balance between consumer protection and commercial viability will, no doubt, keep the insurance industry on its toes for years to come. n 2000 the High Court of Australia held that while an occupier owes a duty of care to people who are lawfully on its premises, that duty does not extend to taking reasonable care to protect them from the criminal conduct of third parties. The court also recognised there may be relationships where such a duty of care was owed. Victorian and New South Wales courts have recently looked at some of those relationships, and it’s clear from these decisions that exceptions to the principle established by the High Court do apply to occupiers and employers. Media reports suggest criminal and anti-social behaviour on licensed premises involving intoxicated patrons has increased. Employers/occupiers can owe a duty to take reasonable care to protect people from the criminal conduct of third parties, especially where there is a high degree of foreseeability of harm to employees and patrons. They also need to consider the following: • Whether an employee’s duties place them in a position of greater exposure to third-party criminal activities; • The nature of threats made to employees and whether those threats could be followed through; • The nature of the establishment or the function being held; • The foreseeability of injury from conduct on the premises, plus the capacity to control the conduct; and • Whether there is actual or constructive knowledge of the dangerous propensities of a particular person. Sue Ogden was the manager of Bells Hotel in South Melbourne. She was held up during an armed robbery early one Monday morning when she was opening the hotel. Ms Ogden sued her employer in the Victorian Supreme Court, alleging it failed to provide her with a safe system of work. She claimed compensation for psychiatric and psychological injury. Bells denied it was negligent, but Justice Williams found Bells had breached its duty of care to her in that it did not provide her with a safe system of work. She was awarded $800,000 damages. In another case, Mr Quintano suffered traumatic brain damage in 2002 when he was shot in the head during a fight among patrons at a nightclub operated by BW Rose. He claimed damages against Rose and AWS Security Services, which had been contracted by Rose to provide security services at the nightclub. There was a dispute over exactly what services AWS had been contracted to provide to Rose. After considering the evidence, Justice Brereton found AWS was contracted to provide only one security guard on Friday and Saturday nights from midnight to 6.30am. Along with the AWS security guard, Rose employed its own security guard who was also on duty that night. A licensee/operator’s duty to exercise reasonable care for the safety of patrons depends on the knowledge of the licensee/manager of facts which may require intervention to protect patrons from a foreseeable risk of harm. While this duty is a delegable one – such as where a competent security firm has been engaged to carry out the security services – the two security guards including the AWS guard were under the direction and control of Rose. Justice Brereton found Rose had not delegated responsibility for the provision of security services. The duty of care to protect patrons from the criminal activities of third parties does not arise solely out of the fact the premises were licensed. Justice Brereton found it was reasonably foreseeable that unless proper security measures were in place, some level of violence or anti-social behaviour where patrons might be injured was foreseeable, considering the location and history of incidents at Rose, the demographics of the clientele, the operating hours and the supply of alcohol. After hearing evidence from security experts, Justice Brereton concluded that to provide a reasonable level of security, Rose required at least three security guards. As Rose only had two security guards on site, it failed to exercise reasonable care for the safety of its patrons. Rose had not delegated responsibility for the provisions of security services to AWS, Justice Brereton found there was no breach of duty by AWS, which was not bound to do anything more than competently and prudently discharge the * duties it was engaged to provide. sive” in the provision. He relied for this decision on these factors: The reference to “any such dispute” was equivalent to “all such disputes” and this was suggestive of an exclusive jurisdiction clause. As Ace and Moose were both Australian companies, made their contract in Australia and provided for Australian law to govern it, Australian courts were the “natural forum” for hearing and determining the dispute. Therefore, the clause was superfluous unless it was read as conferring exclusive jurisdiction on Australian courts. The clause was intended primarily to benefit Ace – the likely defendant in any proceeding arising out of Moose’s insurance policy – and the commercially sensible interpretation was that it was intended to require the parties to litigate in Australia only. Justice Brereton noted that this was a “particularly strong case” for inferring, in the absence of the word “exclusive”, that the clause was an exclusive jurisdiction clause because of the strength of the connection with Australia. Accordingly, he granted the injunction restraining Moose from pursuing the insurance proceeding in California. This case emphasises the importance of contracting parties drafting jurisdiction clauses clearly to give effect to their mutual intention. If an exclusive jurisdiction clause is intended, the word “exclusive” should be used. Conversely, if a non-exclusive jurisdiction is intended, the clause should specify this. These simple measures may avoid costly and inconvenient litigation about the meaning of the provision, as well as the prospect of contractual disputes being determined in unintended and unfavourable jurisdictions. This lesson is particularly important for parties to a contract with a more international character than the insurance policy in this case. they’ve had a claim against them, that they’re not left in no man’s land while insurers are working out which is the appropriate policy.” Sydney-based Lawsons Underwriting director and underwriter Kevin Corkery brings his formidable knowledge of public and product liability exposures in various industries to the specialist cover the company is placing with Lloyd’s. The risks up for consideration at the agency include hospitality (hotel groups, clubs, nightclubs), rail (including rail contractors), manufacturing, engineering, chemical, contract cleaners and property owners. 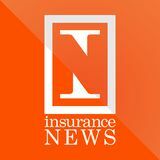 “We have made some nice inroads in hard-toplace areas and our support for brokers as an alternative liability market in key areas such as hos* pitality,” Mr Simpson told Insurance News. make the investment that’s required for a Sunrise Exchange product. “Up until the release of iClose you couldn’t do anything outside of quote or policy,” Mr d’Apice said. “iClose is the first to address the whole insurer and broker relationship, and it encompasses areas like claims, accounting functionality, negotiating risk – all the things that haven’t been available to date.” Mr d’Apice says the iClose framework is designed to be a more efficient conduit to alleviate a lot of the manual processes, and to be a cost-effective solution. It’s intended to strip out a lot of back-office costs for both brokers and insurers. “The people at QBE will attest to the savings they’ve been able to realise on the accounting piece alone,” he said. “Previously all that information was submitted manually.” iClose is also an evolving product, so it will be updated as additional business requirements come to hand. Mr d’Apice says recent popular concepts such as instalment billing for brokers could be offered, as iClose already has the accounting * functionality. you? Give us a chance to do them’,” Mr Godden told Insurance News. “We’ve picked up a lot of work doing the impossible, or what some people had told them was impossible.” He calls it marketing on the “blue ocean”, in niches where competitors are few but often big, the work is tough, the rewards are worth it and clients value the service. There are challenges aplenty in SBA’s specialist areas of energy, mining, construction and corporate/institutional including universities and property owner groups. Innovative systems and procedures allow large dollar values of business to be handled by a staff of just 11. But the business is acutely aware of how big – or how little – it needs to be. SBA is a highly specialised brokerage that can’t employ just anyone. “What we’re really trying to do is support our value proposition, which is high-touch, high-contact, superior service by experienced people,” Mr Godden said. SBA respects its big competitors and their ability to be very good at the very big things. However, to borrow mining terminology, there’s a seam of clients under the very big ones that large brokerages can’t get their very best people into. That’s the clients SBA aims to drill down to. The company assigns only senior “big risk” practitioners in client service roles. All account directors have more than 20 years’ experience in complex risks under their belts. And they’re stakeholders in the business, meaning they stick around and provide continuity of relationships with clients. The clients are sticking around, too. More than 85% of SBA’s foundation customers remain on the books. The company built on its top-shelf alliances and informal arrangements last year by inviting major global broker Arthur J Gallagher to take a minority stake in the business. And there’s a serious intent behind even the light-hearted SBA stubbyholder feature on the company’s website, which is featured in pictures from many strange parts of the world. SBA happily encourages clients and staff to perpetuate the stubbyholder gag by photographing the otherwise unremarkable corporate gift wherever they happen to be. Contributions include one from Lubumbashi in the copper-mining area of Congo, to 850 metres below the ocean. “It’s been to some funny places, and it helps to demonstrate that’s where our business goes,” Mr Godden said. “We’ve got business in the deepest, darkest parts of Africa, Europe and Asia and the United States – all sorts of places.” It’s a subtle demonstration of the fact that SBA might be a relatively small player, but with its relationship with Arthur J Gallagher and its track record for professional service it’s far from being * insignificant. GET YOUR OWN! Are you reading someone else’s copy of this magazine? Order your own free copy of insuranceNEWS (the magazine) for delivery to your home or office at: www.insuranceNEWS.com.au/subscribe Free delivery within Australia only. Postage costs apply for overseas subscribers. he merger of McLarens Young Australia and Freemans Australia is complete, creating Australia’s largest loss adjuster. Insurance Demons. Melbourne Football Club tragic (and Insurance News tipping comp winner) Sarah Schwager finds plenty of insurance people cheering for the 2009 AFL wooden-spooners 12.30pm: The first “Demons in insurance” event for 2009 kicks off at the Fawkner Bistro Bar in South Yarra. With Acting President Don McLardy, a director of McLardy McShane Insurance and Financial Services smiling everywhere, insurance professionals with hearts of red and blue mingle in a buzz of football and insurance talk. Melbourne’s former star skipper David Neitz walks in the room (swoon). McLardy do their best to get the Melbourne insurance enthusiasts feeling good about next season. Organiser of the event, Premier Funding Services’ Bernard Dunn, announces he has already managed to locate 60 Demons aficionados working in insurance. I feel at home among my peers and fellow Demons groupies as a buzz sweeps through the room at the prospect of sponsoring an elite player or two. 1pm: The questions come in thick and fast for the retired captain, who offers renewed hope, four draft picks, a new management and president, and a developing young team. He speaks of the changing face of AFL, from his early days when players still had to hold down a full time job to the defensively oriented game it is today. 2.00: The day also helps raise funds for the club, with Anne Hartree from Insurance Advisernet (pictured above with David Neitz) successfully bidding for a signed and framed collage of historic footy photos. A raffle gives away a signed book on the club and a jersey signed by the entire team – which I won! 2.30: A personal signed message from David Neitz and a kiss on the cheek make my day complete. Bring on next season and go Dees! Claims experts get together When you put a bunch of loss adjusters together, youâ&#x20AC;&#x2122;re always going to get a lot of discussion. Mix liberally with risk and claims specialists from all parts of the industry and you have the CC09 Claims Convention, jointly hosted by the Australasian Institute of Chartered Loss Adjusters and the Australian and New Zealand Institute of Insurance and Finance. The two-day event at the Four Seasons Hotel in Sydney featured a busy exhibition area and included sessions on subjects as diverse as talent management, extreme weather, brand power, infrastructure catastrophes and claims trends. Our pictures were taken at the conference gala dinner at a harbourside restaurant. Vero scores a big rugby win with brokers Australia’s iconic Wallabies rugby union team was the centre of attention around the country as Vero Insurance took the opportunity to host brokers at major international matches in August and September. The insurer sponsors the Wallabies, and coach Robbie Deans has spoken at a number of industry events thanks to Vero. Hosted at each event by Suncorp Executive General Manager Intermediated Distribution Anthony Day, big crowds of brokers attended pre-match functions to hear expert commentators including Wallabies legend Tim Horan, former All Black captain David Kirk and even cricketer Adam Gilchrist. It hasn’t been the best of years for the Wallabies, being pipped by the All Blacks 19-18 in Sydney and trounced by the South African Springboks in Perth 35-25. But the team responded to the Queensland brokers’ barracking in Brisbane by subjecting the South Africans to a 21-6 defeat. Big Night Out. The industry gets together to celebrate its leaders and achievers The Australia and New Zealand Insurance Industry Awards night in Sydney is one of the industry’s big events, where winners are definitely grinners and losers vow to do it all again next year. This time it was staff from Allianz Australia who were all smiles after winning the “General insurance company of the year” award, with the judges drawn from around the industry in Australia and overseas praising the insurer’s ability to perform profitability while focusing on customers. Hosted and organised by the Australia and New Zealand Institute of Insurance and Finance, this was the sixth year of the awards. They go from strength to strength, with a large turnout of industry professionals making it a night to celebrate all that’s good about the risk insurance business. And no one was ever going to argue that QBE Group Chief Executive Frank O’Halloran was a worthy recipient of the “Insurance leader of the year” award, capping off a brilliant 10 years running the international Australian. he Generation X managers on our cover – good-looking, neat, organised and smart – are an excellent way to set the tone for what Insurance News intends to be. They and all the other Gen X managers emerging across the industry are going to oversee an amazing amount of change over the next few years – not just in the way we work but also in the way we think. Insurance should no longer be seen as a conservative, careful and boring industry, because it’s none of those things. talk about everything, because if you really have a global view of business and what’s around, everything that happens – from human relations to politics – everything impacts people’s views and your lives. They’re all one.” A week or so later Bill sent me from New York a beautifully framed text, and I share it with all you Gen Xs struggling to find that balance. have an editorial opinion page, and the opinions we do carry in future will be those of people entitled to have them. We are driven simply by a desire to publish something that examines all sides of the story. It will be up to our readers to make up their own minds. Knowledge. as they say, is power. The magazine complements our weekly online news service and allows us to examine issues in more depth than is possible in an online bulletin that concentrates on brevity. This is a little more laidback; there’s time to relax and consider things. Our new “style” section, for example, will allow us to look at things that are important to businesses and individuals in the industry – but which aren’t always just about insurance. For example, this month we’ve looked at CGU’s new headquarters to examine changes in office design and dynamics. Advertising pays our production and postal costs, and the number of subscribers we attract is therefore important. Insurance News already has the largest circulation of any trade magazine we have been involved with, so it’s an auspicious beginning. he purpose of this final page (hereinafter to be known as the “maglog”) has been the subject of much debate during the production of this first issue. We’ve decided to use the maglog for whatever purpose it’s best suited to at the time – opinions, amusements, and things we haven’t even thought of yet. Thanks for supporting Insurance News. We’ll be back in December.